In addition to French, German, and Spanish, we’re excited to announce Lone Echo is now available with localized voiceover audio and text in Japanese, Korean, and Chinese. Players can select their preferred language via the in-game settings menu. We hope the addition of more languages welcomes even more players to join Jack and Liv on their adventure to solve the mystery of the anomaly in zero-g! 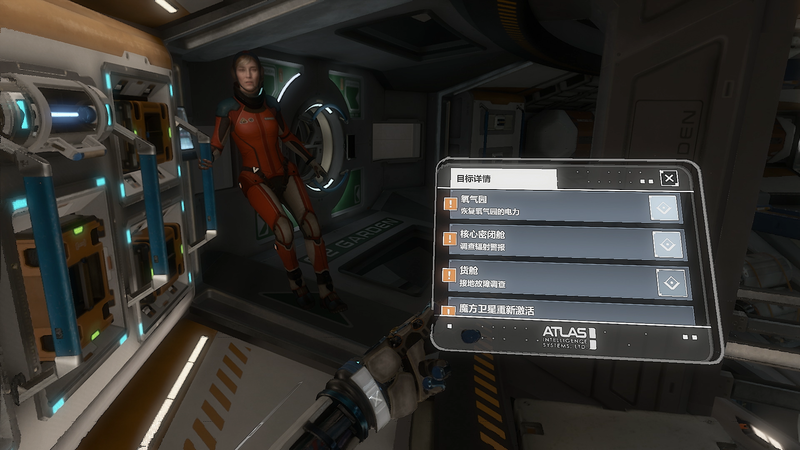 Point of Interest labels on objects in the game will display unreadable text if the language text is changed mid-game after starting a new game in Japanese, Korean or Chinese. This issue will resolve itself upon moving to a new major area (e.g. leaving the station). Announced during OC5 last September, Lone Echo II will be releasing on the Oculus Rift this year. Reunite with Liv in the Lone Echo II: Trailer Experience on mobile and Rift for a sneak peek at the mysteries that remain in space. Stay tuned for Lone Echo II updates and announcements in the future!